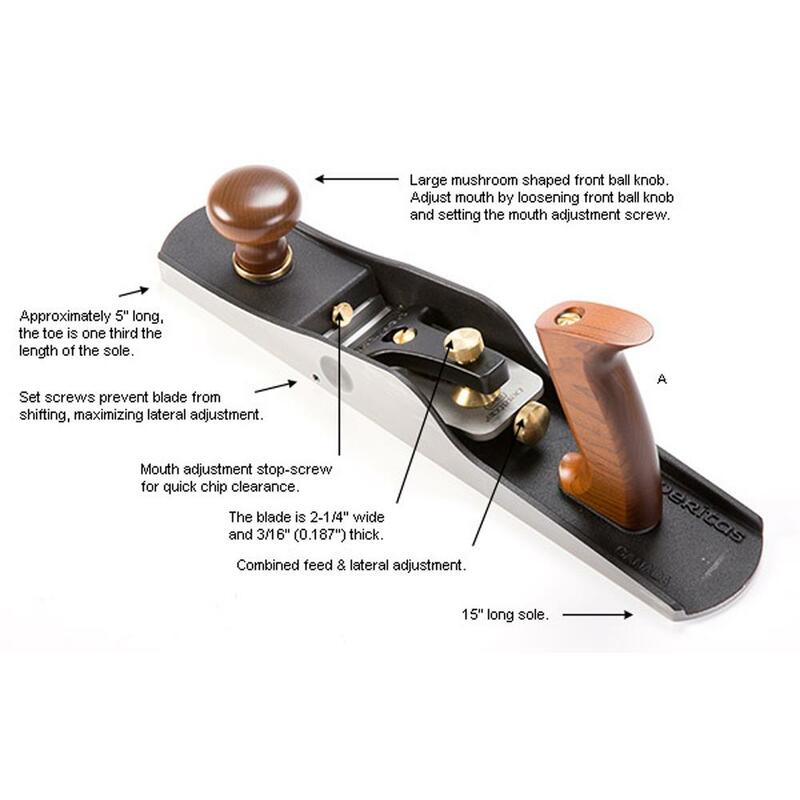 The Veritas low-angle jack plane is ideal for shooting mitres, working end grain, and initial smoothing, and has been designated as a 62-1/2 because of its generous size and weight, low centre of gravity, and radically set-back mouth. This is a bevel-up plane, with a 12° bed angle similar to a low-angle block plane. The plane is generous 381mm long, 70mm wide and weighs in at 2.61Kg. You will appreciate the way this plane sits on the workpiece, with a toe that is one third the length of the sole. The body is fully stress-relieved, ductile cast iron. With sides machined square to the sole, a specially shaped lever cap, and the machined thumb recess on either side of the body, it provides both comfort and excellent control when shooting. Includes a lapped 25° blade, 57mm wide by 4.75mm thick, in PM-V11® tool steel. Honing instructions for various cutting angles included.